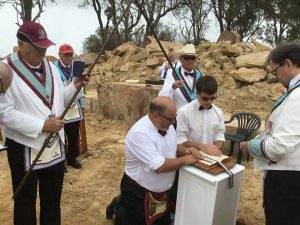 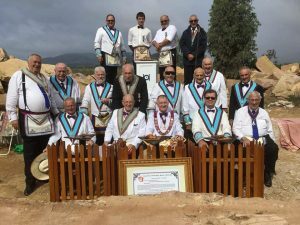 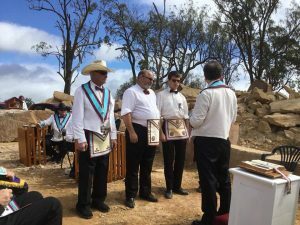 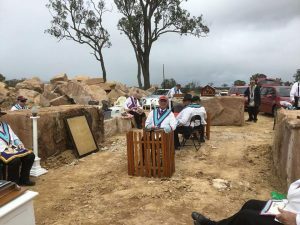 Brothers Greg & Aidan Marsh JW Jackson Mark Lodge were invited to take their Advancement Ceremony at the local Quarry at Yangan a few kilometres down the road from Warwick, made famous for providing the Building Materials for the Grand Lodge Temple at Ann Street, Brisbane. 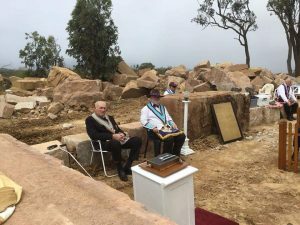 It had been 5 years since the GLMMMQ first conducted a ceremony here. 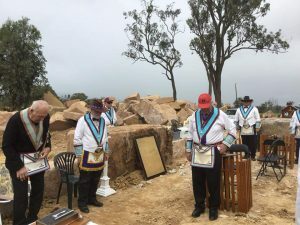 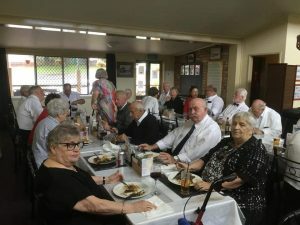 Member's from JW Jackson Mark Lodge No32 supported by Grand Lodge officers from The Master Overseers Mark Lodge No 34 conducted the Advancement on Saturday morning. 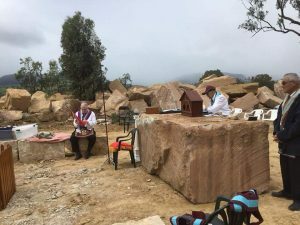 The weather was quite unique to say the least, with on again/off again showers.